Bronkar Lee is multi-instrumentalist, former circus and street performer, peak productivity speaker, and current President of NSA Georgia. Bronkar drops by to talk about how he’s incorporated performance art into his speaking career over the years and how to use performance to make a connection with your audience. 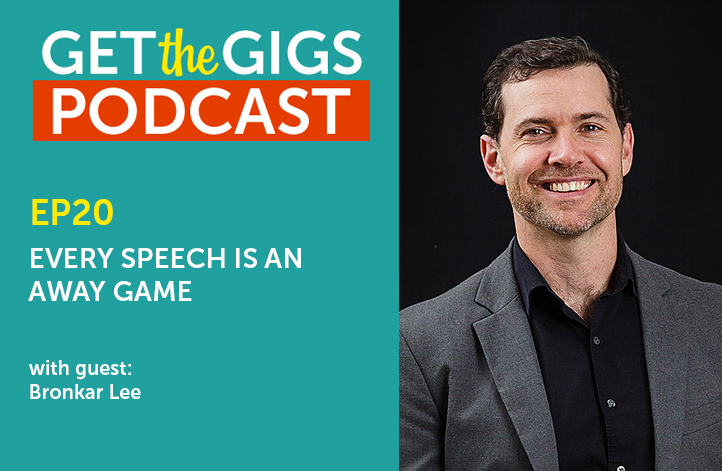 How has Bronkar’s performance background affected his speaking business? Every speech is an away game! Bronkar talks about some of the performance aspects that he brings to his speaking gigs. Does a speaker necessarily have to be a performer as well? What are some of the best ways to connect with an audience? Bronkar makes great use of video on his website. What’s the theme-song for your show?